Master the skills of creating enticing projects with Intel Edison. 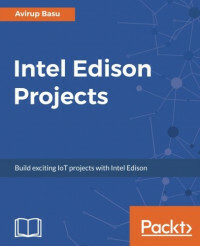 If you are a hobbyist, robot engineer, IoT enthusiast, programmer, or developer who wants to create autonomous projects with Intel Edison, then this book is for you. Prior programming knowledge would be beneficial. Change the way you look at embedded electronics with Intel Edison. It is a small computing platform packed with a set of robust features to deliver hands-on performance, durability, and software support.